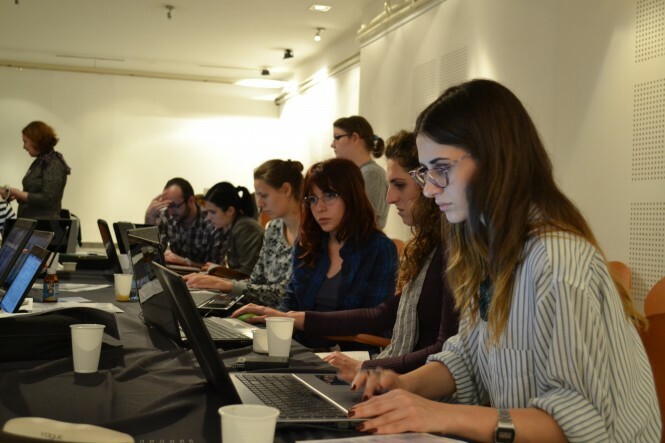 The American Alliance of Museums Media and Technology Professional Network awared the Europeana Fashion series of Fashion edit-a-thons for a 2015 bronze MUSE award in the "Open" category! The award was announced yesterday at the MUSE Awards champagne reception, which took place at the Atlanta Marriott Marquis. Earlier winners of the award include the Museum at the Fashion Institute of Technology, who received a silver MUSE award for their use of digital media to enhance the museum experience and engage audiences. 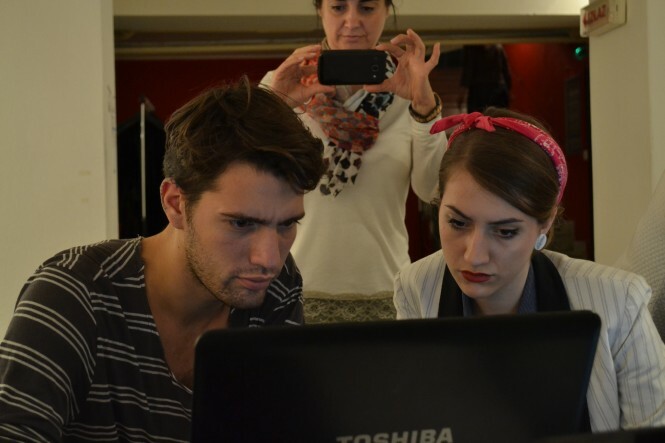 Image taken at the Belgrade Fashion edit-a-thon. Photo credit: Tina Kaplani. 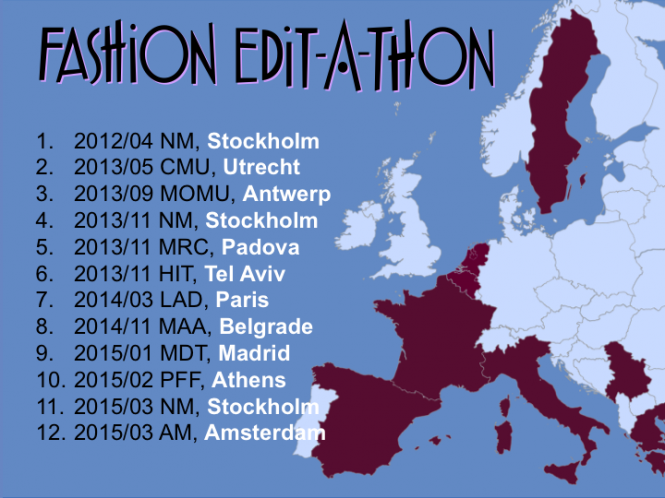 Europeana Fashion organized twelve edit-a-thons in nine countries in collaboration with local Wikimedia chapters and volunteers from the community. Some of the edit­a­thons were supported by third-party organizations. The work in all of them focused on asking museum partners to open their doors to invite in would-be editors of Wikipedia, attract Wikipedia volunteers to help organize the event, add media from Europeana Fashion content partners to the Wikimedia Commons platform and subsequently use these images for relevant articles on Wikipedia. When after the first few edit-a-thons we felt comfortable with the formula, we also attempted a parallel set of edit­a­thons that shared the same theme with an additional online challenge, and explored the possibilities of hosting a GLAM-Wiki collaborative event in the framework of a larger cultural or fashion-related festival. The events were organized in order to reach specialists from the fashion domains, students and existing Wikipedia editors, with the stress on a particular target group shifting from event to event. We look back on the series having learned a lot from all the different people that took part and attended and look forward to continuing working to improve and share fashion knowledge on the world's free and collaborative encyclopaedia! For the full story on our Fashion Edit-a-thon series, read our project report D6-6_wikipedia-report-ii_final [PDF] or, alternatively, browse the images we've made openly available on Wikimedia Commons.